This stunning empress jade green necklace from our Goddess Collection features the powerful mantra of the magnificent Goddess Tara OM TARE TUTTARE TURE SOHA. The mandala pendant is studded with precious zirconia diamonds to channel the blessings of Tara. Tara is the ultimate goddess who brings swift success and fulfillment of all your wishes. Wearing her mantra pendant and chanting her mantra daily protects against robbery, heartache, failure, financial problems and natural disasters. 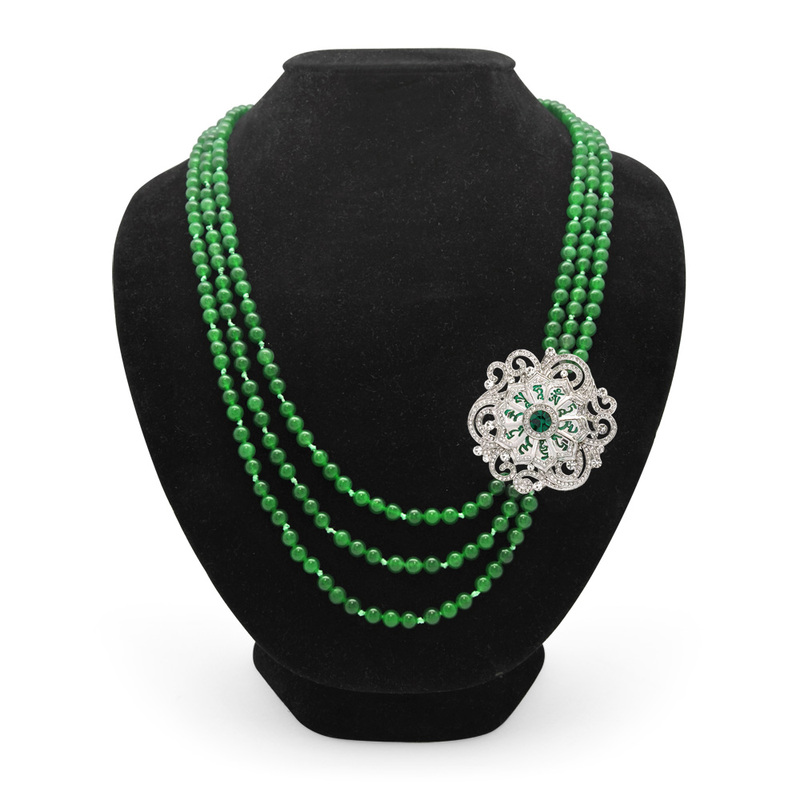 Care instructions: This beautiful necklace is fashioned from rhodium plated brass alloy and enhanced green jade beads. Prolonged exposure of the pendant to sweat and perfume may result in tarnish. We recommend cleaning this necklace with a jewelry polishing cloth after each use and keep in a concealed pouch or jewelry box when not in use.